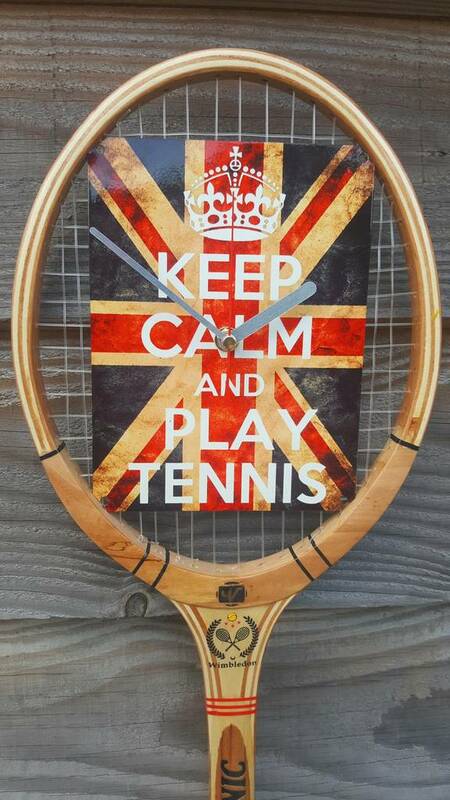 A handmade wall clock made from a genuine tennis racket featuring a steel sign with Keep calm and Play Tennis motif. This is a wonderfully unique gift. 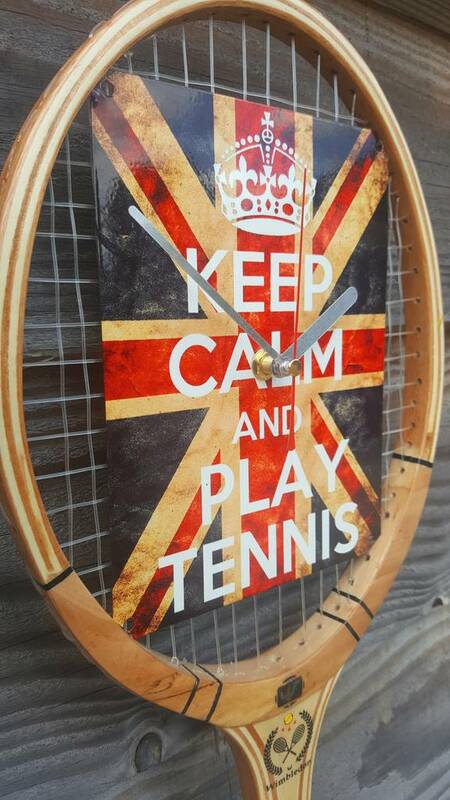 A beautiful wall clock. Featuring a genuine wooden tennis racket this really is something a little different. Designed and hand produced in England. 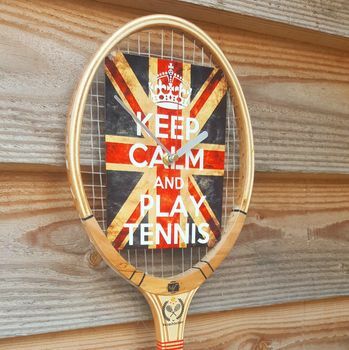 A perfect gift for tennis fans or any sports fan. 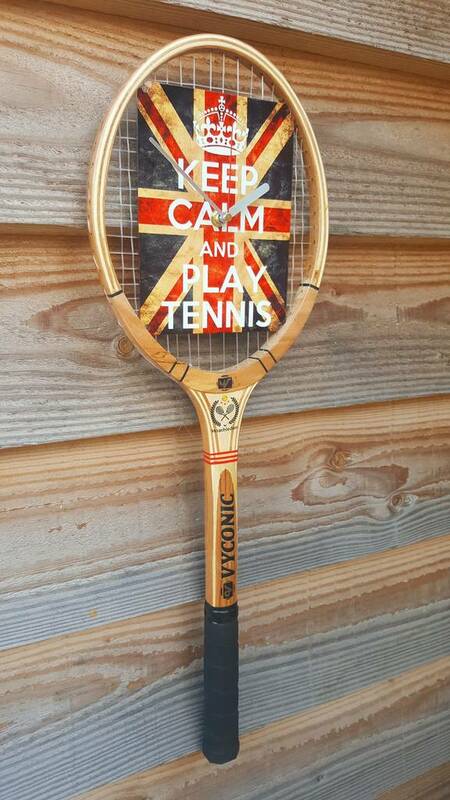 Looks perfect on the wall anywhere from a kitchen to a mancave.